would taste just as sweet. And indeed they do. Cochinitos. Marranitos. Puerquitos. Cerditos. It doesn’t matter. Whatever you want to call them, they are always delicious. 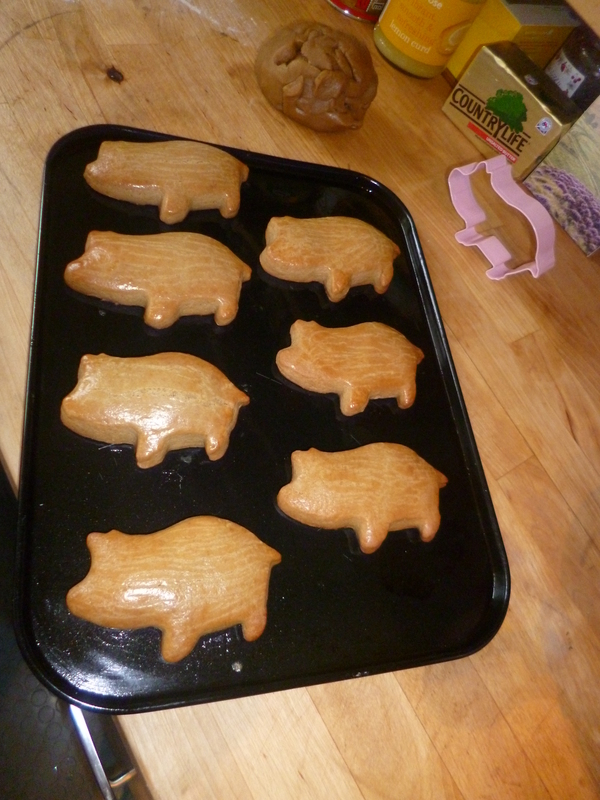 These pig shaped pan dulces are a cross between cookies and cake. They are lightly spiced with Ceylon cinnamon sticks and sweetened with molasses or dark brown sugar. In Mexico, they are traditionally sweetened with cones of piloncillo which is a form of raw sugar cane, but as that was unavailable to me, I used soft dark Muscovado. They are baked with an egg glaze and dusted with powdered sugar and emerge from the oven as fat and soft as can be. Excellent with coffee, or even better, a mug of champurrado. It will make you feel like a Mexican princess. The recipe I used belongs to Patti Jinich. 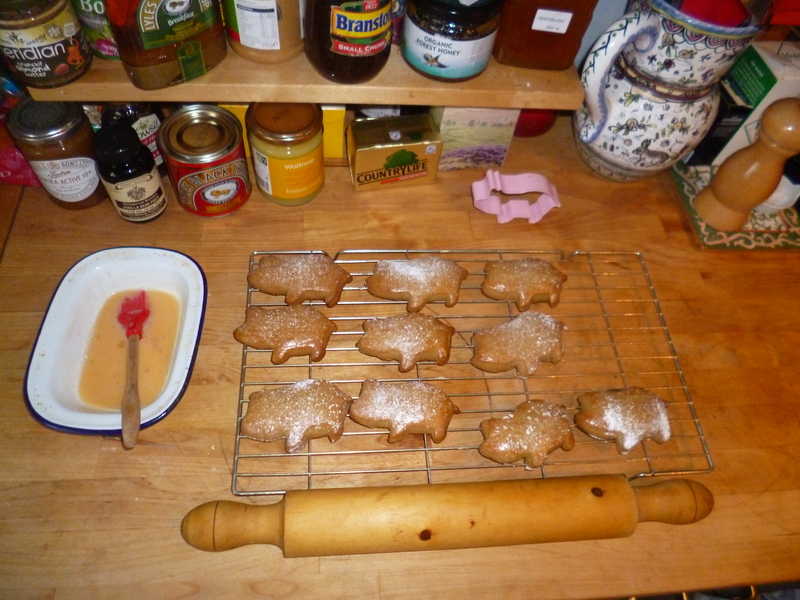 You can view it here on NPR’s website as well as listen to an interview with her about Mexican piggy cookies. I highly recommend you check out both. This entry was posted in Recipes and tagged baking, cakes, cerditos, Cinnamon, cochinitos, marranitos, Mexican, NPR, Ozomatli, pan dulce, pastry, Patti Jinich, piggy cookies, puerquitos by chagrinnamontoast. Bookmark the permalink. ps. thanks about the Jello patterns!! Seriously though. I thought it was totally cute. Very 50s. It’s funny how they taste of ginger but there’s not ginger in them – crazy Mexican culinary alchemy. 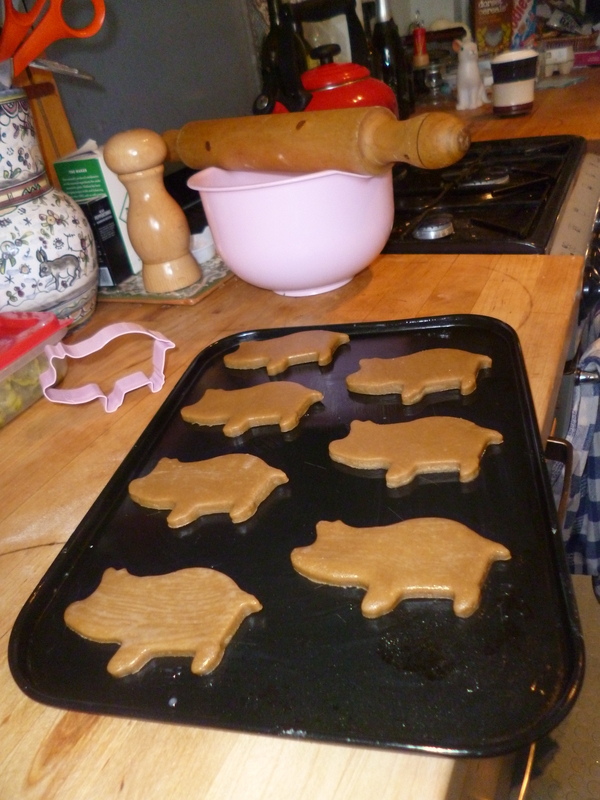 I want a piggy cookie right now. (But sheesh, what a lot of hating going on in the comments of that NPR story. “I can’t believe that woman had never heard of something that obviously came from another region of her home country! 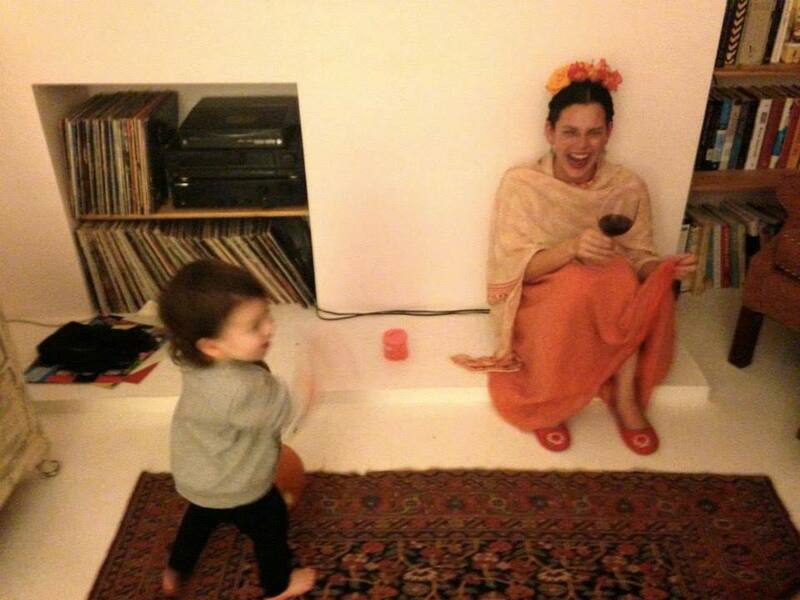 How could I possibly trust her recipe?” Ah, the Internet…) Love the Frida Kahlo look, too! I know! It’s shameful the way people can be so mean about folks they don’t even know. I thought her recipe was great and I loved her interview. She comes across as so warm and sweet and completely interested in learning more about where she comes from. I’m a fan. Glad you like the Frida look. I’m a sucker for flowers in my hair. aww….all they need is an Eat Me stamp 🙂 Great project and enjoying the photos. Thanks, Liz. I did think about doing squirrels. . . I think Patti seems like a doll. And her cookie recipe really is perfection. 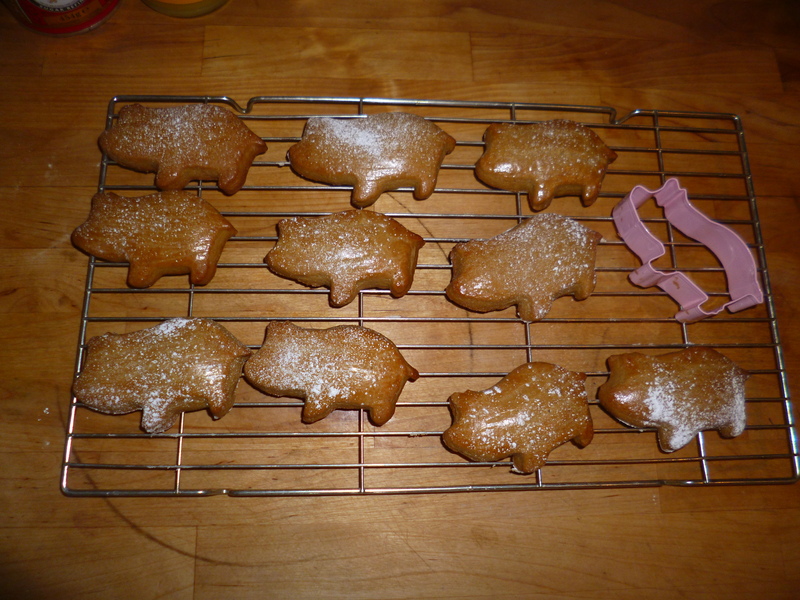 Sadly, the piggy shape has not stopped me from eating them all. Don’t think I’ll be able to make these again for awhile or I’ll go piggy shaped myself.